Custom Order – Blue Fox Fur BAM Bag. 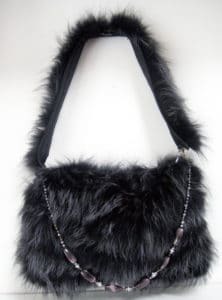 Each Bag comes with an adjustable Nylon Crossbody strap, a Fur Shoulder Strap, and a hand beaded shoulder bag strap. The inside of this beautiful one of a kind has a hand stitched interior lining.